OFF-ROAD LIVE ! 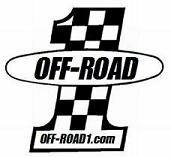 : Steve Strobel Wins Overall & Trick Truck Class! Shane Esposito Takes Motos! 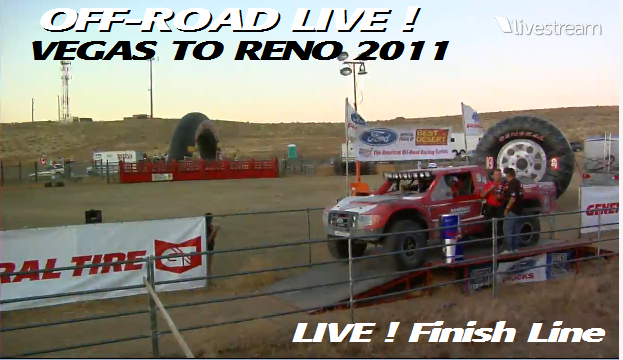 VEGAS TO RENO 2011 LIVE! 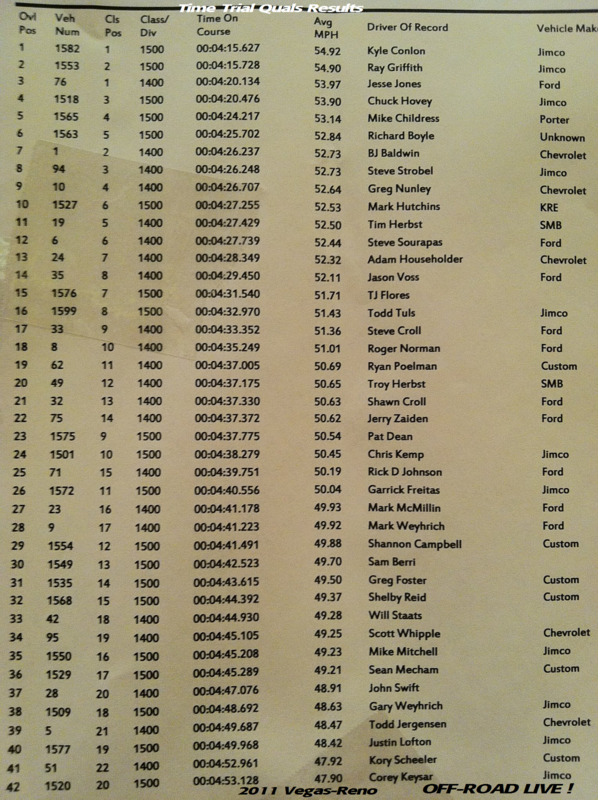 Steve Strobel Wins Overall & Trick Truck Class! Shane Esposito Takes Motos! VEGAS TO RENO 2011 LIVE! Steve Strobel Wins Trick Truck! Shane Esposito Takes Motos! 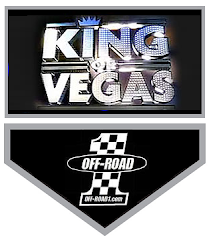 The Longest Off-Road Race in the United States, the BITD TSCO "Vegas to Reno" is here! OFF-ROAD LIVE! kicked-off the festivities on Wednesday, August 17th LIVE! from Las Vegas Nevada and El Cajon California. Time Trials results were reported LIVE! TODAY! 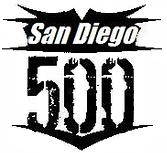 Race day starts at 5 AM PT, with an approximate 24-hr time limit. The LIVE! Webcast of the race is LIVE! NOW! Dangers - the GPS coordinates will be posted Wednesday, this is the Danger List, these are dangers that we felt were worth noting. If they don't match the "red cross" dangers on the gps map it's because we did not round up or down, use the dangers on the gps map. close to 300 are expected by race day. Three of the fastest classes have a total of 87 entries so far. The entry list reads like a “who’s who” of the world’s foremost off-road racers. Scott Whipple are among the ranks of the Trick Truck racers. “The Longest Off-Road Race in the United States". races always brings out the top off-road race teams. Aliante Station Hotel & Casino in North Las Vegas. finishes at the Dayton Event Center. Reno at the Grand Sierra Resort. their starting positions and compete for the $1000 “Team Ford Pole Award”. Parker “425” and Silver State “300” top finishers. and also at the finish line at the Dayton, Nevada Event Center. PCI Race Radios, Azunia Tequila, and Sportsman Cycle Sales. 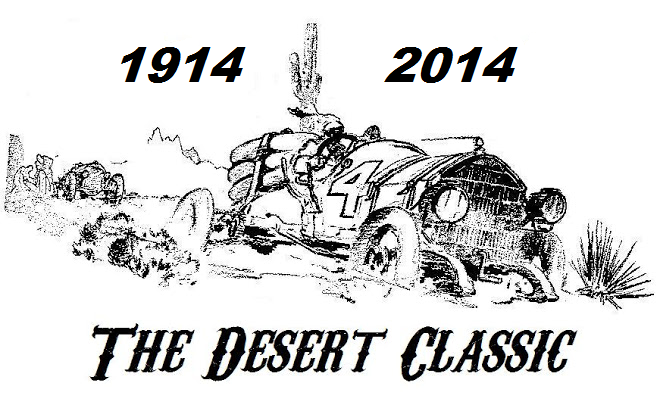 The American Off-Road Racing Series…Best In The Desert! A race through the Nevada desert isn't top of mind for Northern Nevada special events, but the annual Best in the Desert race from Beatty to Dayton packs hotel and motel rooms throughout Reno and Carson City, event organizers say. Peggi Gold, president of Rope Marketing in Reno, says organizers already received more than 150 entries for the 550-mile race, which includes more than 900 crew and 400 volunteers. An entourage of several thousand racing fans is expected to follow the off-road race route as well. Gold has booked nearly 1,000 rooms on Friday and on Saturday for race participants and fans at the Grand Sierra Resort, and last week she was still scrambling to book additional rooms at other hotels. The one-day race begins at 5 a.m. on Friday, Aug. 19 and ends when racers cross the finish line at Dayton Events Center. An awards ceremony expected to draw 900 people is scheduled for Aug. 20 at Grand Sierra Resort. 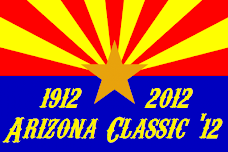 Casey Folks organized the first Best in the Desert race in 1996. The route, which includes part of the Pony Express Trail, starts at 2,500 feet in elevation and climbs to heights greater than 9,000 feet. The event has grown to include race teams from across the U.S., as well as Spain, Montreal and South Africa. Folks says the economic impact of the race is in the millions of dollars, and many small communities, such as Mina and Beatty, experience a huge jolt in taxable sales. The average truck team, he says, spends about $50,000 to participate in the race.